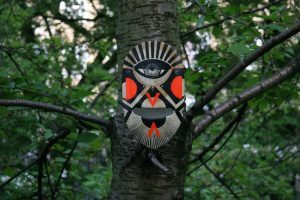 Phytology is an artist and community led project exploring the value and function of wilderness within the urban ecosystem. Located in the Bethnal Green Nature Reserve; Phytology is part physic garden; part wilderness; part cultural institute and a platform for research and collaboration between the arts and sciences. The Phytology physic garden re-opens for 2017 featuring projects by Kathrin Böhm, Talya Baldwin, Bats, Ellie Doney,Lumin, Lucy McLauchlan, DJ Simpson, Sam Wallman,Toothpaste, VOICED, Vhils, & live music by Victor Vox.